Challenges to situational awareness lurk around every corner. They pose a problem to all of our safety, security, and preparedness. 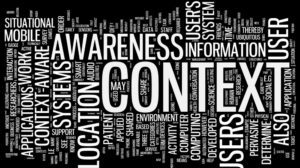 Fortunately for all of us, many of the challenges to situational awareness can be minimized and possibly overcome completely. However, to do so, you first need to understand what the problems are and that’s what this episode is all about. Confirmation bias is our tendency to search for, interpret, favor, and recall information we gather in a way that supports our pre-existing beliefs and assumptions. An example of confirmation bias is the gun control debate. People on both sides of the debate seek out information, news stories, etc., that support and paint their position in a positive light. At the same time, they seek out information that discredits the other sides positions and portrays them in a negative light. In the end, even if both sides read the same story, they are both likely to interpret the story in ways that support their position and beliefs. Unfortunately, all of us have confirmation bias, even those who believe they’re open-minded. We do have the ability to minimize its impact on us. However, while it’s challenging to overcome confirmation bias, we can limit its effect upon us. The first step is to recognize that it exists. Then attempt to look at issues through other people’s eyes. While you may not agree with them, you may learn to understand their position. Then as a result of that learning process, you may end up expanding your thought process broad enough to benefit you and your situational decision-making abilities. Here’s an excellent article to learn more about confirmation bias. Hyper-focus occurs when we focus only on one specific thing. In so doing, it becomes difficult to switch our focus to another situation, or task. An example of task hyper-focus happens when a person is treating an injured patient and focuses in on a specific injury. While the person is focused in on the one injury, they overlook a more serious, but less apparent injury. For example, focusing in on a fractured limb because it looks awful, and not paying attention to something more serious. Often, even after a person treats the first injury they are focused on, they’ll neglect to search for other problems. This can also happen in different situations. It’s important to remind yourself from time to time to take in the entire situation. Make sure you mentally step back and honestly observe what is happening in case you missed something before. In the case of injured people, this is why you learn to do a thorough patient assessment, such as the MARCH assessment. Direct Pressure: Hold pressure on the wound until the bleeding stops. Devices: If the direct pressure is not successful, use equipment such as tourniquets, hemostatic agents and pressure dressing to supplement direct pressure. Don’t Dilute: Use the hypotensive resuscitation concept to avoid thinning the blood, which reduces its clotting ability. Hypotensive resuscitation is a type of IV therapy that trained, and educated medical providers may use. In laypersons terms, we no longer hook up IVs and push them in as fast as possible. Addresses any issues that compromise the person's airway. Typically, this is left to the trained caregiver using various techniques and equipment to overcome any airway compromise. This is the step where we deal with breathing. While a person may have a good airway, they may be having a difficult time breathing. Remember, respiration is the process of taking air with oxygen into the lungs, exchanging it with carbon dioxide and expelling the carbon dioxide from the body. It’s essential that we help ensure a person is breathing adequately, or if properly trained to do so, assist them with their breathing. The C in MARCH deals with shock. Once we address massive bleeding, airway, and breathing, we need to make sure the patient's blood flow is good. Some of the methods we can use to address circulation include laying a person flat and maintaining their body temperature. EMS professional can also use careful fluid resuscitation to the mix. This is a critical area that many people forget about or neglect to address. In a nutshell, keeping a patient warm is vital to stopping the bleeding. As a person’s body cools, their blood’s ability to clot diminishes and they are less able to stop bleeding, which causes more blood loss, which creates more bleeding, and so on. So, the moral of this story is, when you’re busy patching holes, bandaging cuts, splinting fractures, and doing everything else, don’t forget to keep them warm. There is not a lot most people outside of professionally trained, educated, and equipped rescuers will be able to do for this. Just know that it is essential to make sure a possibly temporary head injury doesn’t turn into permanent problems for the patient. Decreasing oxygen levels, hypotension (low blood pressure), and other issues can lead to permanent damage. When that happens, the person may end up on the Internet running a preppers podcast and chattering at you in his Mind4Survival Facebook group! 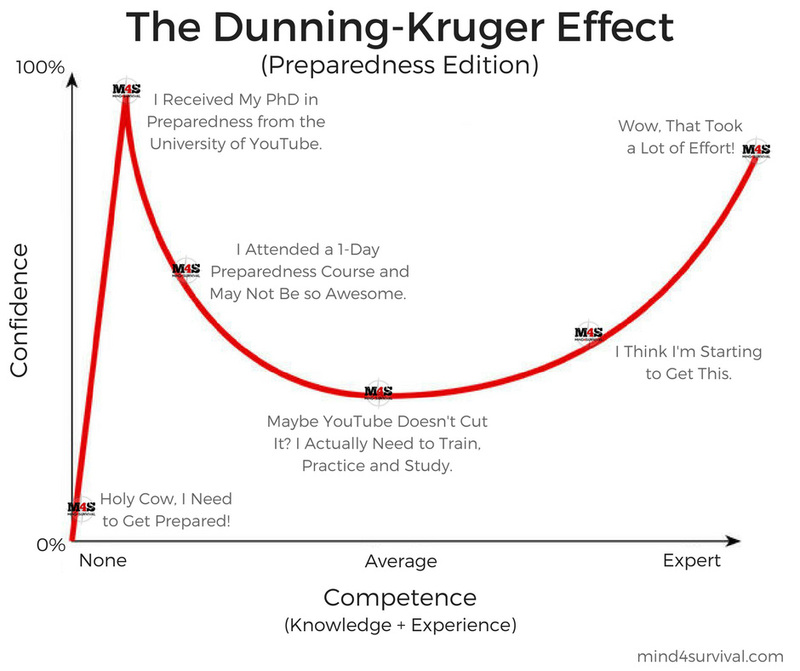 The Dunning-Krueger Effect (DKE) is a person’s belief that he or she is more capable than they are in physical and mental ability, i.e., overconfidence. This overconfidence can cause someone to miss or ignore warning signs about potential trouble, or try to resolve a situation believing he or she is capable, but aren’t. 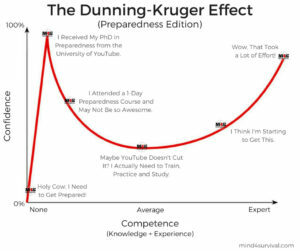 The Dunning-Krueger Effect is a theory that establishes a relationship between a person’s knowledge, experience, and training about a topic or situation and their confidence in dealing with that topic or situation. About DKE, people with no knowledge of a subject usually have no faith in their ability to deal with that topic. However, people with only a small amount of experience have the highest amount of confidence. Then, as people gain more knowledge, they learn enough to realize they are not as good as they thought they are. Over time, a person gradually increases their knowledge and experience related to a topic. Then, they slowly gain confidence in their abilities. Eventually, a person maxes their expertise and capability and is very confident, but not as confident as the person who only knew a little, but had high confidence. Even those of us who don’t believe we suffer from the Dunning-Krueger Effect has the potential to do just that. Therefore, we all need to maintain an open and honest relationship with ourselves. If we do, we are then more likely to notice when DKE is setting in. When we notice that, we will be better able to minimize its negative impact on us. As you go throughout your day, take the time to think through situations and look for times when you may have thought yourself better at handling the issue than you genuinely are. Then think about what you did, why you did it, and work to gain both the knowledge to improve yourself and the self-awareness to recognize when the DKE is rearing its ugly head again in the future. Mental overload occurs when the mind becomes overloaded with too much information. When this happens, so some information is not absorbed, which can lead to decisions that are based on incomplete information. Most likely we’ve all had this happen to us at times. It seems to happen to us on an increasing basis, as situations and events become more stressful. As the stress of the event increases, your brain may try to process all of the information from various parts of the situation. As it does, we begin to overload. Our mind can lose focus; we can rush into decisions, panic, freeze, etc. If it hasn’t happened directly to you, you have probably been in or observed situations where it has happened to others. So, how do you overcome information overload? Well, the first thing to do is recognize when it is happening to you or others. Once you realize that it is happening, try to take a brief moment to mentally close out the world, focus on your mind, take a breath, mentally relax, and tell yourself to settle down. Once you do, then before you let your mind re-engage the situation, tell yourself what you need to do and get going. Sometimes, you may have to do this more than once during an incident. Likewise, if you see someone else experiencing mental overload, say something to them. When you do, you'll help get their mind out of it. We’ve all watched old movies when a person slaps another person on the face who is in a state of mental overload. Now, don’t go slapping people, but do something to help break the thought process that has them locked up. You may have to give them another task to perform and take over for them. Depending on the situation, breaking someone’s state of mental overload can be critical to the situation. So, keep an eye out for it. Complacency is when a person believes the current situation is routine, regular, or not urgent and is therefore not concerned. This may cause them to overlook or discount potential problems. As a result, the person may ignore critical indicators regarding the situation, or make decisions that may not be appropriate and may lead to additional complications. Complacency can bite all of us. I’m sure you can think of times when someone thought a situation or task wasn’t worth their time. Then, after discounting it and find out what the actual circumstances are, are completely surprised and caught off guard. Think about it. We’ve all heard of people who stepped in front of a bus. With complacency there’s often no warning, people aren’t worried that anything is going to happen, and then all of a sudden, wham! The fact is that people, by the thousands die every year due to complacency. We like to say people die from accidents. But, how many of those “accidents” are caused by people being complacent and not paying attention? To overcome complacency, we need to work on keeping our minds engaged with our environment. When we do, we help increase our situational awareness and avoid things like stepping out in front of a bus or walking into a pole while on our cell phone as Doug Patteson talked about in episode 41. Complacency can be overcome. However, it takes concentrated efforts on our part to stay on top of it to make sure that we don’t take anything for granted. Challenges to situational awareness are everywhere and always present. Just like with any difficulty though, they can be minimized and overcome. However, to do so takes practice, effort, and honesty with yourself. Honesty means genuinely evaluating yourself, your capabilities and how you are reacting to a situation. Practice and effort is the art of taking what you discover from being honest with yourself . Then working to minimize the negatives and accentuate the positives. When you do that, you will lead a more situationally aware life. You'll also be more likely to be on the winning side of any problematic situation. So, what are you waiting for? Let’s do this! 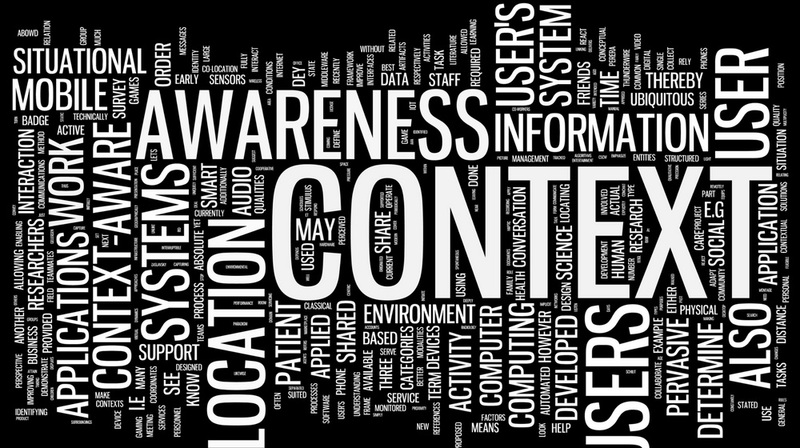 If you have any other thoughts or questions about challenges to situational awareness, please leave a comment below.